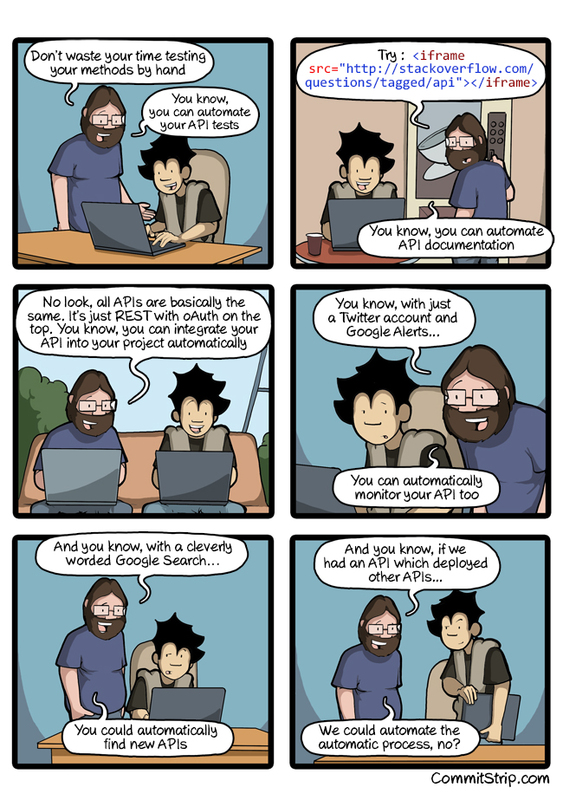 If you love APIs and Automation, come see the CommitStrip team at APIDays Paris next 8-9th of December, the main conference on APIs worldwide. Register with COMMITSTRIP code, 1st tech tickets are VIP invites, then 35% of reduction. More on apidays.io!